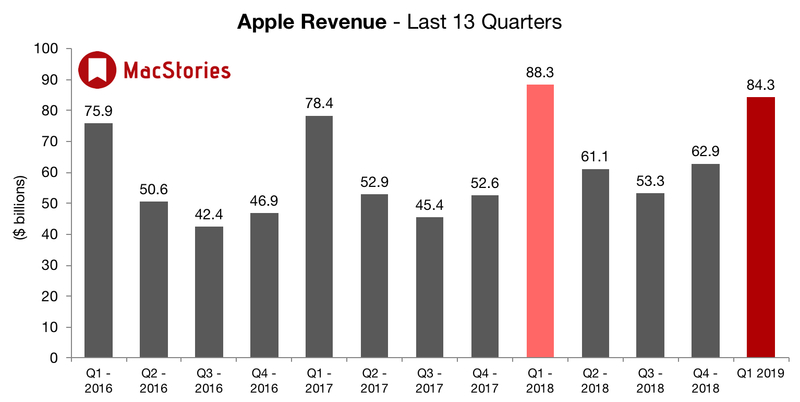 Apple's original revenue guidance for Q4 2018 fell between $89 billion and $93 billion but was revised downward to $84 billion in a letter from CEO Tim Cook to shareholders that was released on January 2, 2019. 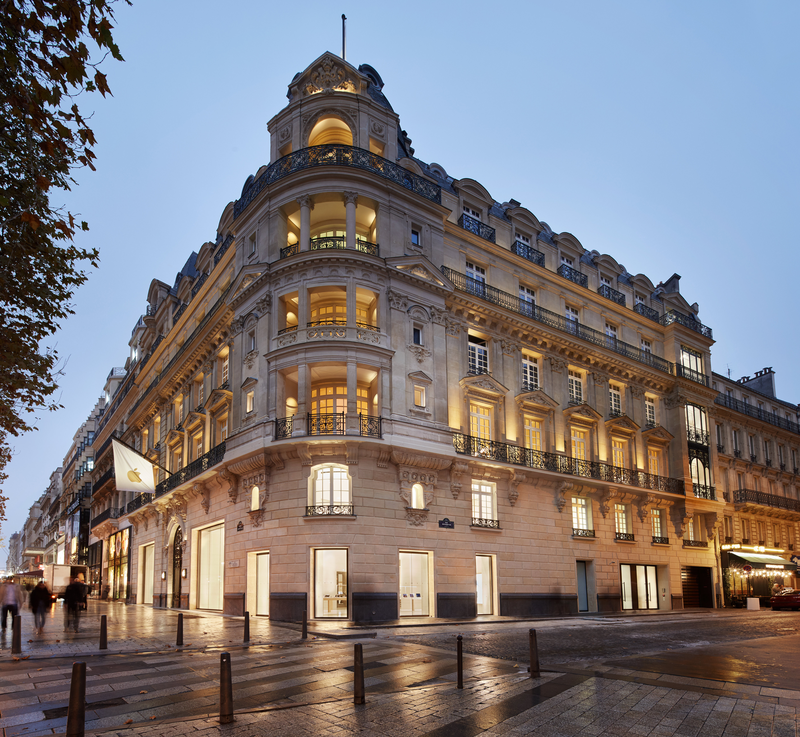 Gross revenue which was originally estimated to be between 38% and 38.5%, was revised to 38% in Cook’s letter. 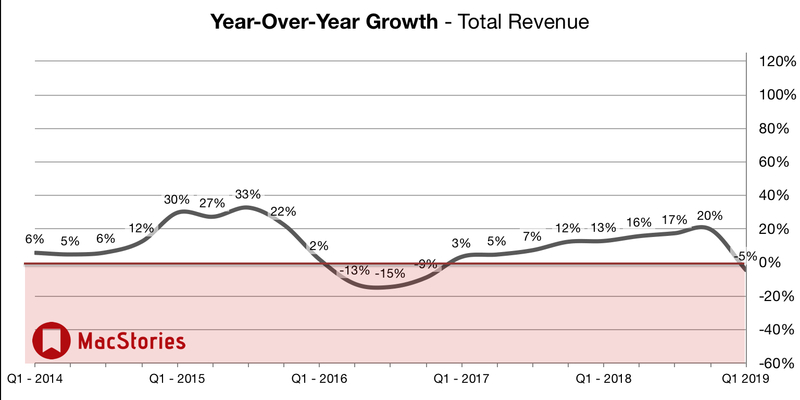 For Apple, the slowdown is expected to continue with fiscal second-quarter revenue of $59 billion, according to analyst estimate data compiled by Bloomberg. That would be a year-over-year decline of about 4 percent. 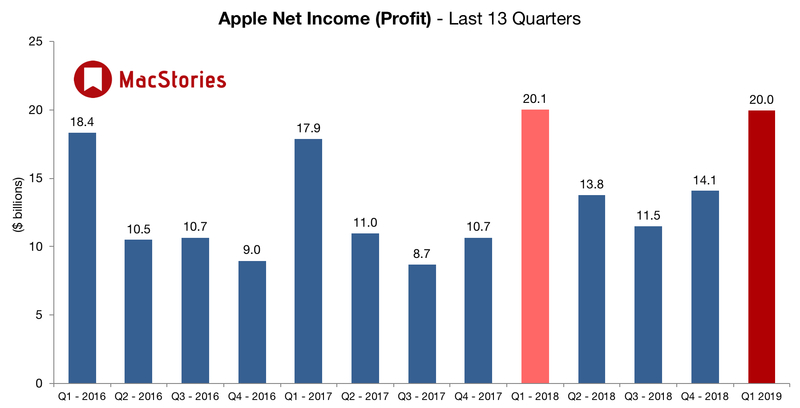 Below, we've compiled a graphical visualization of Apple's Q1 2019 financial results. 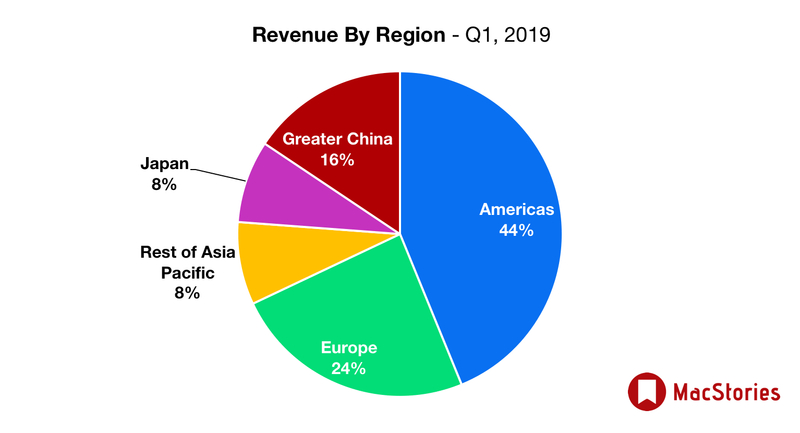 Tim Cook (TC): Over 100% of our worldwide revenue gap from guidance is due to Greater China. 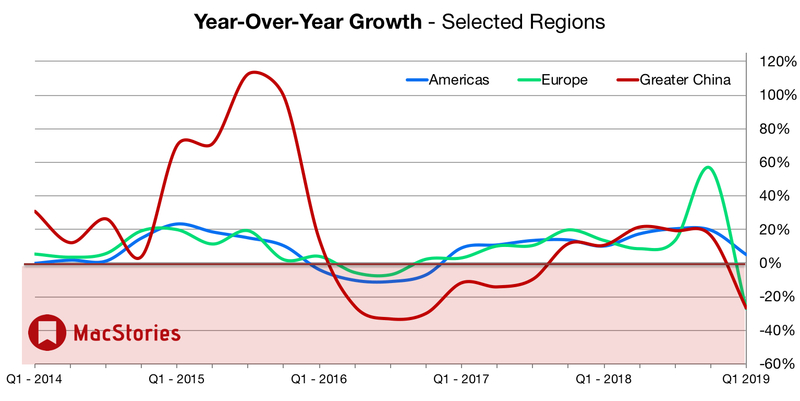 Tim: Record performance in large markets, including US, Canada, Germany, Spain, and Korea. Over 50 million Apple Music subscribers. iTunes had it’s best revenues ever. The battery program was the right thing to do for #AAPL. Not because they are a charity business but because it means delaying revenue rather than upsetting customers and losing them! 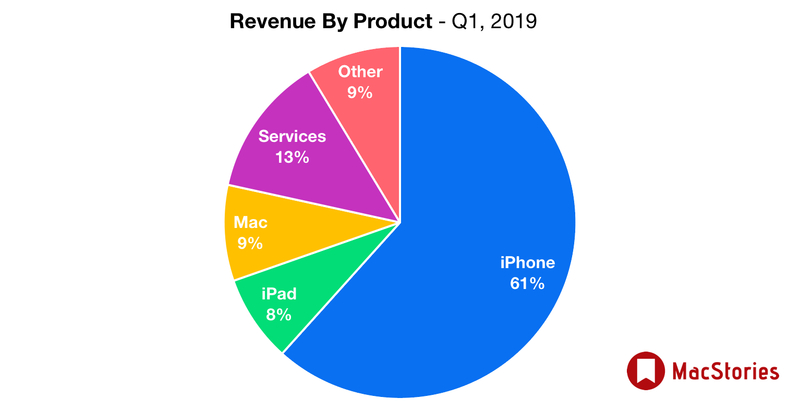 $AAPL's @tim_cook: Now talking about Apple's lead in silicon. Pointing out how AI is being built into the technology. "It does all this while keeping personal information private." No mention of FaceTime Bug though while banging the privacy drum.